Venda Ancient and Surviving kingdom. 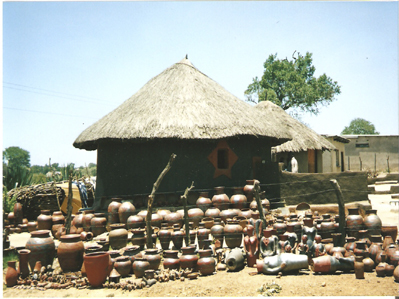 This Venda Ancient and Surviving kingdom can be easily incorporated into a larger South Africa Tour and or Kruger National Park Africa Safari. Depart Johannesburg following the old Voortrekker route up North. Have a stop at Makapans Caves that form part of the same archaeological series as the cradle of Humankind situated outside Johannesburg. Nowhere else in the world is there such an extended and complete record of early hominid occupation. Overnight near town of Makhado. A 2 hours drive will take you to the newly opened Mapungubwe National Park, declared a World heritage Site by UNESCO in 2003. The guided heritage walk will take you to the ruins and excarvations of this ancient kingdom that preceded the Great Zimbabwe culture. This is the beginning of your introduction to Venda a Ancient and Surviving kingdom. Enjoy a picnic lunch overlooking the confluence of the great Limpopo and Sashe river before settling in at Forest Camp. Accommodation will be in safari luxury tents. Alternatively join the rangers of Mapungubwe National Park when they go “wilddog tracking”. The African wilddog is threatened by extinction and movement of hunting packs is carefully monitored. Stay additional night at Forest Camp. Leaving for Venda the cultural heartland of the Venda people. On the way pass the biggest Baobab tree in South Africa. The Vendas are the direct successors of the Mapungubwe culture which makes the visit to the Royal Court of the living King Kennedy Thsivhase very interesting. Settle in at the basic Ivory Route Camp where drums and dance accompanied by a traditional dinner await you. Or overnight Thohoyandou. On the way back to Polokwane pop in at Noria Mabasa’s private homestead and gallery. She is a world-renowned woman artist who is famous for her giant size wood sculptures. Arrive at Polokwane to catch plane to Johannesburg. In the morning visit nearby San bushman paintings before entering the Tuli Game reserve which forms part of the New Transfrontier Park linking Botswana, South Africa and Zimbabwe into what will soon be known as the world’s most spectacular wildlife destination. Enjoy Tuli on an open vehicle drive through the Reserve. Guided game walks can be arranged, as well traditional gamed rives and Tuli is known for its big elephant herds. Overnight at fully equipped chalets, Tuli Game Reserve.